Thanks for these suggestions. 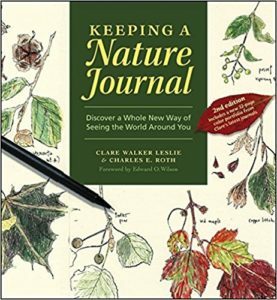 I have tried, and failed, at keeping a nature journal. Several times. Perhaps your favorite will prove to be the needed inspiration. I think in my past efforts I try to be either too scientific or too artistic and I am neither. I should just be me! Yes, Mary, I guess it just has to be by me, for me; by you, for you! I’ve sent you a scan of some of my pages!! Very little artistry exists in these pages! !